Hibernate is an open source Java persistence framework project. Perform powerful object relational mapping and query databases using HQL and SQL. In general the widely used libraries are well designed and implemented, and it’s very interesting to learn from them some coding best practices. 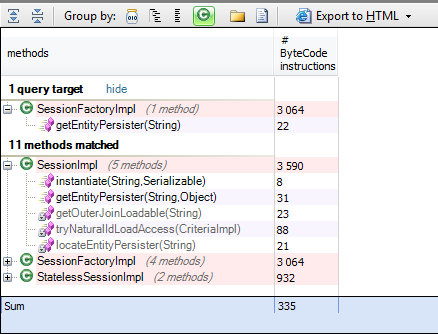 Let’s take a look inside the hibernate core library and discover some of its design keys. 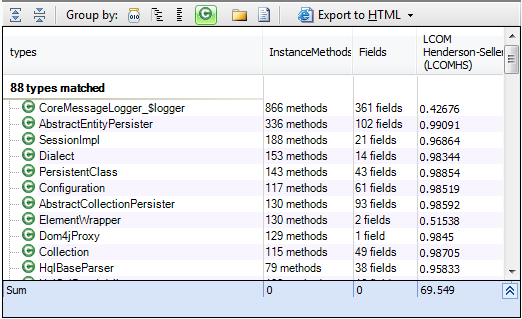 In this post Hibernate Core is analyzed by JArchitect to go deep inside its design and implementation. Package-by-feature uses packages to reflect the feature set. It places all items related to a single feature (and only that feature) into a single directory/package. This results in packages with high cohesion and high modularity, and with minimal coupling between packages. Items that work closely together are placed next to each other. Here’s a good article talking about packaging by feature. 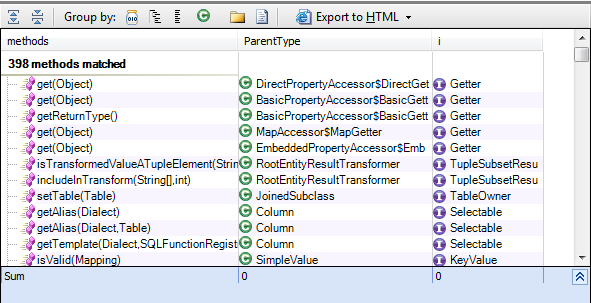 Hibernate core contains many packages, each one is related to a specific feature hql, sql, and others. An interface provides a way to define a contract that promotes reuse. If an object implements an interface then that object is to conform to a standard. An object that uses another object is called a consumer. An interface is a contract between an object and its consumer. An interface also provides a level of abstraction that makes programs easier to understand. Interfaces allow developers to start talking about the general way that code behaves without having to get in to a lot of detailed specifics. An interface enforce low coupling between components, what’s make easy to protect the interface consumer from any implementation changes in the classes implementing the interfaces. 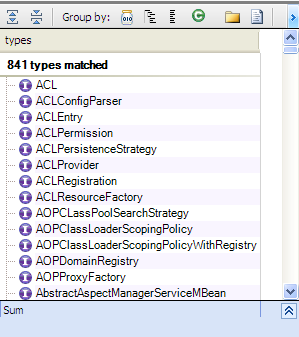 Let’s search for all interfaces defined by Hibernate Core, for that we use CQLinq to query the code base. 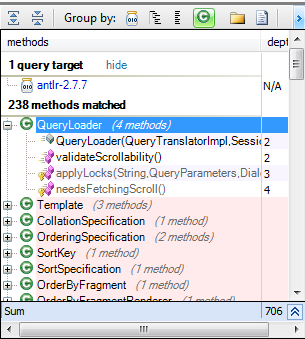 With JArchitect we can check this kind of mistakes using CQLinq, the idea is to search for all methods from concrete classes used directly by other methods. For example the method getEntityPersister from SessionFactoryImpl which implements SessionFactoryImplementor interface is concerned by this problem. Let’s search for methods invoking directly SessionFactoryImpl.getEntityPersister. Methods like SessionImpl.instantiate invoke directly getEntityPersister, instead of passing by interface, what break the benefit of using interfaces. Fortunately hibernate core doesn’t contains many methods having this problem. 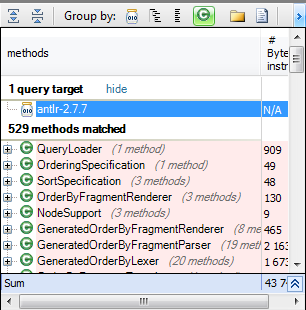 Let’s take the example of antlr lib which used to parse the hql queries, and imagine that another parser more powerful than antlr was created, could we change the antlr by the new parser easily? Many methods use antlr directly what makes hibernate core highly coupled with it, and changing antlr with another one is not an easy task. this fact not means that we have a problem in hibernate design, but we have to be careful when using a third party lib and well check if a third party lib must be low coupled or not with the application. In general classes more concerned by the cohesion are the classes having many methods and fields. 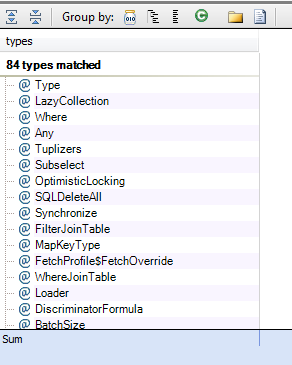 Let’s search for types having many methods and fields. Only few types are concerned by this query, and for all them the LCOMHS is less than 1. Annotation-based development relieves Java developers from the pain of cumbersome configuration. And give us a powerful feature to free the source code from the boilerplate code. The resulting code is also less likely to contain bugs. 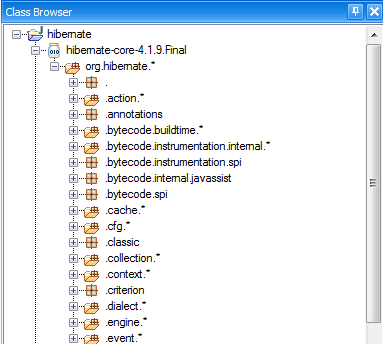 Let’s search for all annotations defined by hibernate core. Many annotations are defined, what make hibernate easy to use by developers, and the headache of configuration files is avoided. Hibernate Core is a good example of open source projects to learn from, don’t hesitate to take a look inside it. Published at DZone with permission of Issam Lahlali . See the original article here.